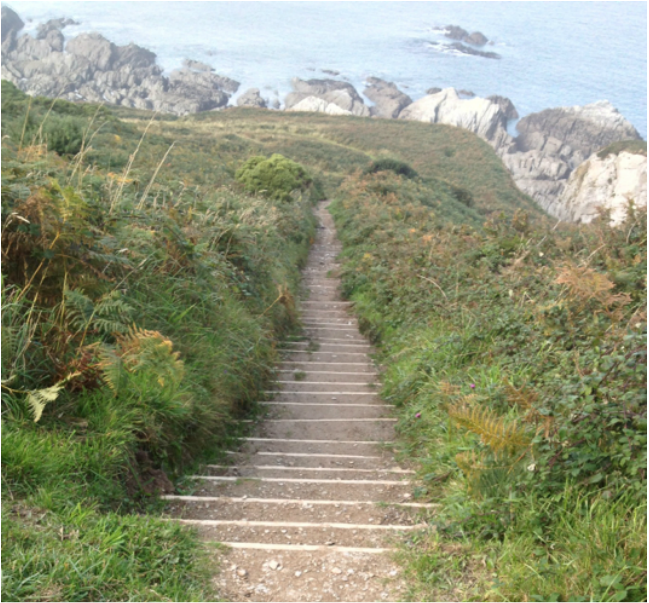 Only by enlarging this map can you see the climbs and dips and back and forths of this path. I encourage you to do this because it'd be nice knowing that someone somewhere recognizes what a truly looong and arduous walk this is. ​Right now it is 2pm and we are sitting in this pub in Lee, having walked three miles from Ilfracrombe. We are tired and would love to quit but as there are no more buses from Lee today, we will have to walk on to Mortehoe. This is the kind of stuff that happens when you don't bother with bus schedules. The Grampus Inn is very old. Here's what their website says: "The Grampus is set in the heart of one Britain's most picturesque villages. Parts of the building date back to the 14th Century, and until the 1970s, this was a working farm. Now a Free House, with a tea-room that opens between Easter and October, it is a favourite with residents and holiday makers alike. Families are catered for, and walkers ​and dogs are always welcome." ​The church is old and quiet and somber. 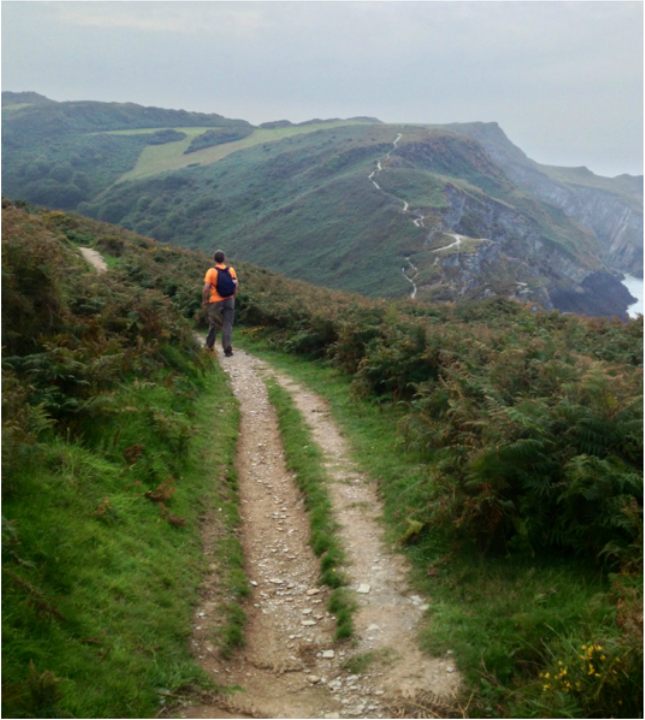 ​Onward to Mortehoe. Lots and lots of ups and downs. ..and are heading way over there, as far as you can see the trail. We're hoping it ends there. You never quite know what to expect on a hill like this. Will the path go down? Will the ​town be below? Will there be an escalator? And then more long path leading God knows where. Around here somewhere is a little side path that takes us into the town, and to a cafe, and to our bus stop, and to our room, and so to bed. Lovely houses and cute little streets and cream tea because we are too early for dinner but as the last bus comes at 5:20 and we're famished, we eat what we can. ﻿I would love more time to explore this teeny tiny village. Actually, we will have to come back as we need to walk the other direction. Cool.